As an additional ingredient within cookies, icings and cakes. We should also note that while this powder contains potato maltodextrin, it is derived from non-GMO sources. Other ingredients include citric acid and natural orange flavouring. 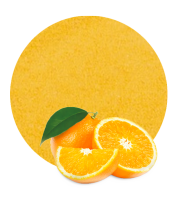 Whether utilised within the dairy industry or as a component of fruit drinks, our selection of dry orange juice powder is associated with quality as well as a number of nutritional benefits. 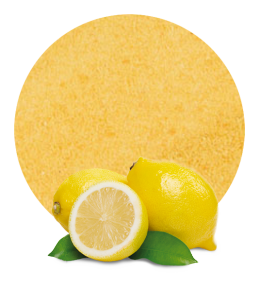 Lemon Concentrate is well aware of the health benefits associated with this powder. Not only is this substance very high in fibre (essential in digestion), but another massive advantage is the fact that levels of vitamin C are much more pronounced when compared to most generic juices. This is the reason why such a powder is often employed as a beverage substitute by those who are embracing a healthier diet. Our powder can also be used as an addition to most common drinks although it is just as possible for it to be mixed with water. 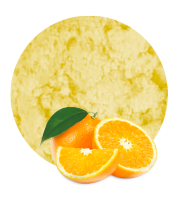 We are proud to be one of the foremost dry orange juice powder suppliers and thanks to our attention to detail, clients can rest assured that they are receiving a high-quality product at extremely competitive prices. Please feel free to contact a Lemon Concentrate representative to learn more about our additional products such as our Fruit Juice Concentrates and Fruit Fillings.